george h.w. bush | Play Happy. 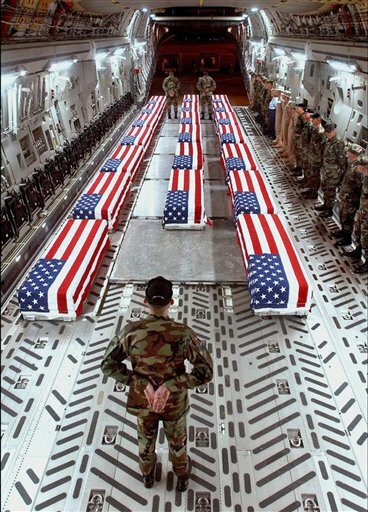 The ban, which prevented the media from capturing images of fallen soldiers returning to America in flag-draped coffins, was put into place in 1991 by Bush the 41st and was also exercised during Bush the 43rd’s administration. Critics have argued that it is a form of censorship intended to hide the human cost of war from the public while others claim its only meant to protect and respect the family of the dead and those otherwise affected. Since the ban, only a few exceptions have been made, all on an individual case basis. The decision on whether the media will have access will now rest with the departed’s family.